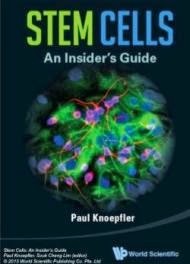 StemCells Inc. issued a press release yesterday, announcing that it has reached an agreement with the California Institute for Regenerative Medicine (CIRM) to receive a $19.3 million loan which will be used for the preclinical development of HuCNS-SC, a stem cell therapy for Alzheimer's disease. Goal of the company is to to file an Investigational New Drug application with the FDA within the next four years. HuCNS-SC® is a stem cell therapy containing neural stem cells derived from humans. 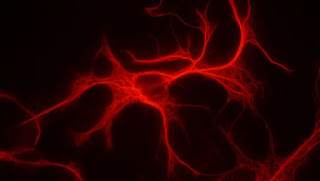 According to the company, preclinical studies on immunodeficient mice have shown that these stem cells can engraft, migrate and differentiate into all major cells comprising the central nervous system (neurons, astrocytes and oligodendrocytes) with no evidence of tumorigenic activity or other adverse effects. Furthermore, Dr. Blurton-Jones has presented data at the Alzheimer's Association Annual Meeting (2012) highlighting that HuCNS-SC stem cells have the capacity to restore memory and synaptic function in animal models for the disease. During the next years, StemCells Inc will evaluate the potential of HuCNS-SC cells in treating Alzheimer's with the help of researchers from the University of California. "With CIRM's support, we are now able to lay the groundwork that could result in the world's first neural stem cell trial in Alzheimer's patients," said Martin McGlynn, President and CEO of StemCells, Inc.
"Currently, there are no good treatment options for Alzheimer's patients, and there aren't any on the horizon, so it is clear that the field could benefit from creative approaches to this devastating and challenging disease." he added. The loan will be given over a period of 4 years and is forgivable, meaning that the company is obliged to pay CIRM only if HuCNS-SC cells prove to be successfull in treating the condition, giving the company a chance to make a profit out of them. That's really a very appreciable effort from California Institute for Regenerative Medicine. There is always a requirement of such kind of support from government or any NGO to fight properly against this deadly disease. My fingers are crossed, hope we'll sooner find the effective treatment for Alzheimer.